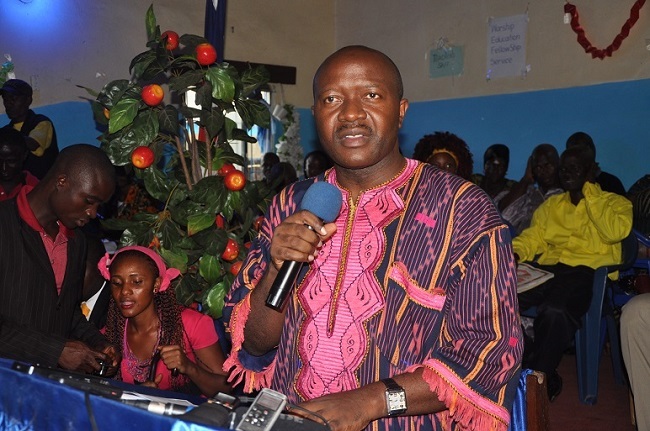 Liberia’s Foreign Minister Augustine Kpehe Ngafuan has warned that if Liberia does not put an end to illiteracy, it will be illiteracy that will put an end to the country. Foreign Minister Ngafuan, who cautioned the nation about the risk of illiteracy, spoke over the weekend when he delivered the commencement convocation speech during the 15th graduation exercises of the Salvation Army-run William Booth High School. “We must dedicate more and more of our nation’s resources to education because of a simple and somber truth, if Liberia does not put an end to illiteracy, illiteracy will put an end to Liberia”, Minister Ngafuan stated amidst huge applause in a jam-packed ceremony held on the school campus in Paynesville, outside Monrovia, the Liberian capital. He stressed that schools must build libraries and research centers that are conducive for learning to enable Liberian students compete with the cinemas and the beaches. Minister Ngafuan also spoke of the need for schools to build ‘fantastic’ reading rooms and recreation centers that can compete with the ‘fantastic Fridays’ that see Liberian students flood the beaches and beer bars expending their youthful energies and exuberance on things that will accrue little benefits to them in the future. To the graduates, 192 of them styled ‘Pa-Da-Stra-A-Da-Stra (a German expression meaning ‘From difficulties to success’), the Foreign Minister said, “My advice to you is to read, read, read, and read. Your commencement today is the first step…….. My first advice to you is to move on with your education because acquiring a high school diploma is no guarantee for success in the new Liberia. Do not allow this little success to make you drunk. No one ever finishes book”. He urged them to, upon leaving the high school of William Booth, venture into the ‘hard school of life’. The valedictorian Reggie Feahn, in remarks, urged his fellow graduates to match expectations with their level of education. Feahn, whose valedictory speech was on the topic ‘Education, The Instrument For Nation Building’, appealed to the government to increase its subsidies to private schools, noting that education is the light in darkness and the foundation on which Liberia will be built.